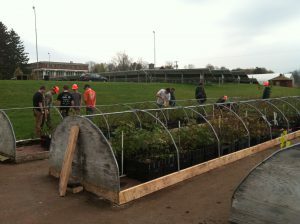 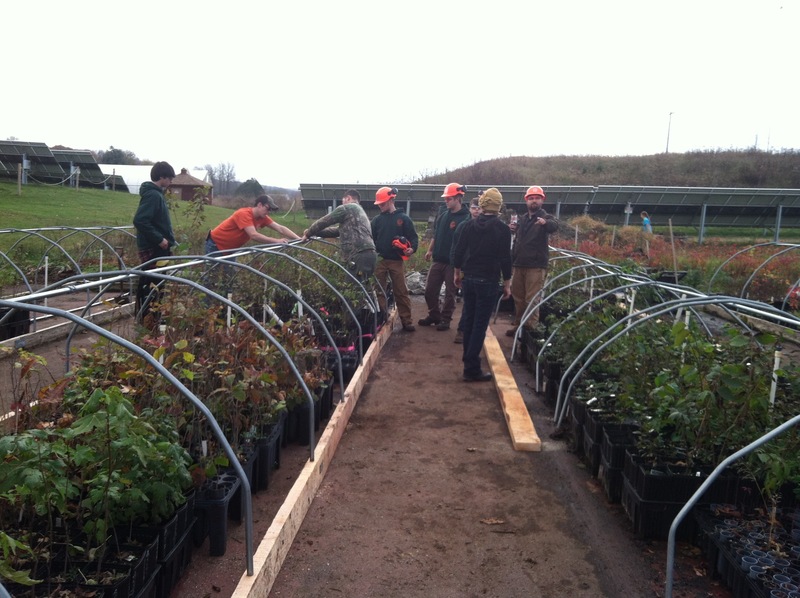 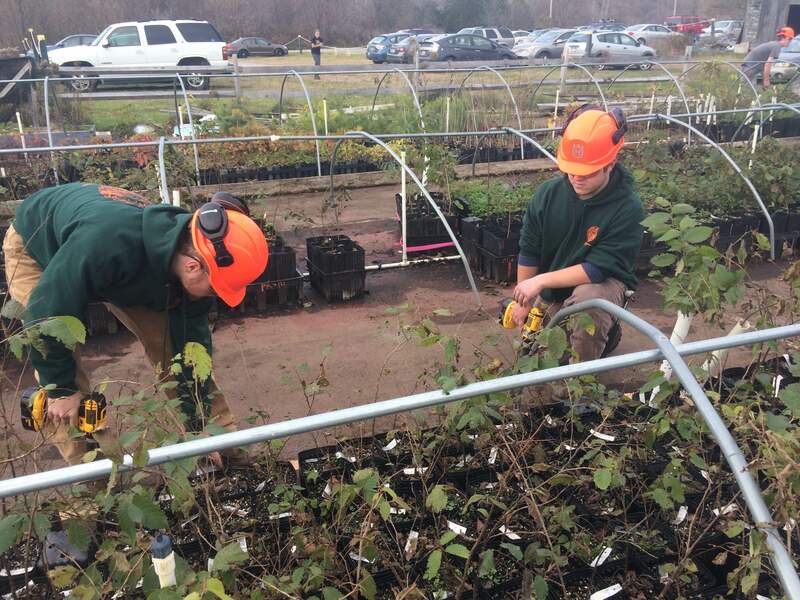 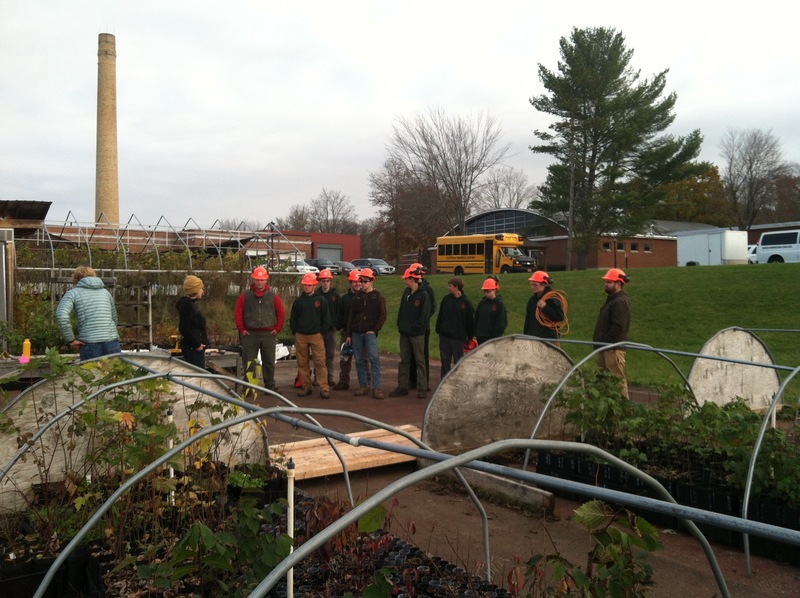 Stafford Forestry and Natural Resources Program participants arrived at the nursery yesterday morning to help rebuild the hoop houses that had sorely deteriorated over the years. 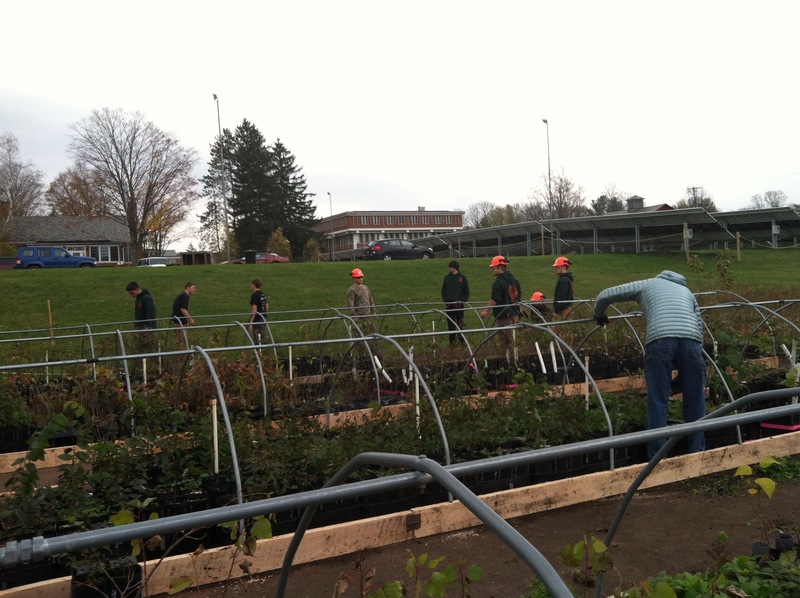 As always, it was a great pleasure and privilege to work alongside these dedicated teens. Thanks to their hard work and motivation, we were able to have two hoop houses completely rebuilt and the other two on site shored up enough to last for another year. 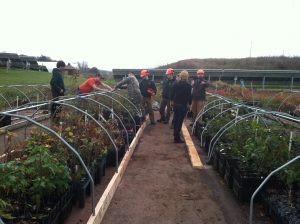 We can now safely put the plants to bed for the winter. Thank you, Stafford Tech, Mark Raishart, Dan Lovell, and all the terrific students for all that you do!